The 2022 Beijing Winter Olympic Games competition venues and athletes' village located in the Zhangjiakou area will be converted into an Olympic Park in a bid to ensure the facilities are utilized after the Games, officials have announced. "The venues include the Nordic center ski jumping and cross-country skiing resorts and the biathlon center. Zhangjiakou plans to use these facilities as the basis for construction of a world-class tourist destination," said Li Li, deputy director of Zhangjiakou-based operations for the Games' organizing committee. The ski jumping resort will focus on business tourism, with suitable conference facilities to be built, while the ski course will remain in use for skiing competitions and training in the winter months. The cross-country skiing resort will be converted into a facility for equestrian and outdoor camping, with a mountain park and an outdoor ice entertainment center to be constructed. The biathlon center is set to host ski instruction for children and various ice and snow experience activities in the winter, while equestrian, mountain biking and mountain rollerskating activities will take place in the summer months. 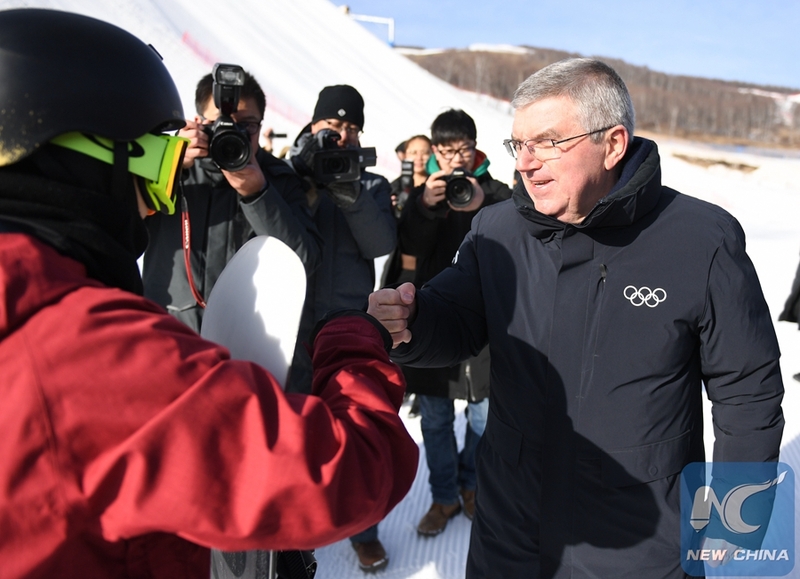 "The Beijing Winter Olympics has brought a series of positive changes to Zhangjiakou, in terms of transportation, ecological environment, green industry, winter sports and people's income," Li added. Located some 200km northwest of Beijing, Zhangjiakou will host snowboarding, freestyle skiing, cross-country skiing, ski jumping, Nordic combined and biathlon competitions during the 2022 Winter Games.